Podcasting is becoming big business, at least in the US. According to the latest IAB/PwC Podcast Advertising Revenue Study, US podcast advertising revenues came to $314m (€271m) in 2017. That's year-on-year growth of 86pc. Sure, it's small beans compared to size of the overall digital pot in the US. According to eMarketer, that will amount to an eye-watering $107bn in 2018. But the humble podcast is showing impressive growth, nonetheless. And showing the audio opportunities for canny marketers looking to connect with audiences that are all ears. So what else does the research tell us? It tells us that financial services, retail brands, entertainment, and business to business are the categories making the most of the podcast opportunity. These account for 59pc of ad and sponsorship spending in the podcasting arena. The types of podcasts that are proving most attractive to advertisers are arts and entertainment, technology, news and current events and business - these four genres captured 56pc of all revenues. Marketers buying podcasting advertising are doing so on a medium- to long-term basis. Annual and quarterly buys make up 71pc of buy types. And despite a dearth in independently-verified listening data, the research shows that a cost per thousand or CPM model is the most popular way of selling podcasts. About 85pc of all ads are sold this way. According to Anna Bager, EVP of Industry Initiatives for the Interactive Advertising Bureau, producers are overcoming the lack of standardised measurements that CPM requires with calls to action. "In cases where ROI metrics are a campaign objective, some direct-to-consumer advertisers use a code with a discount offer, which enables them to measure the response and calculate ROI," she says. The IAB is also predicting that US podcast revenues will continue to grow, reaching $659m by 2020. Key to this is audience growth, and this is being driven by technology, according to Bager. "Smart speakers have contributed to growth in audience and advertising investments as well," she says. "Voice and audio are central to interactions with everything in the home from smart speakers to appliances, smart TVs and home audio systems. Over 70pc of people with a smart speaker listen to more audio." So if US marketers are profiting from podcasts, are advertisers on this side of the Atlantic being left behind? Well, the recent Reuters institute Digital News Report shows that podcasts aren't as popular as they should be in Northern Europe. Why? Possibly because large public broadcasters aren't incentivised to undermine their radio offering by producing or promoting podcasts. But there are regional differences: podcasts are twice as popular in Ireland as in the UK, and 38pc of Irish audiences listen to a podcast at least monthly. In the UK this number is 18pc, despite the BBC's excellent and extensive podcast output. Regional variances aside, the Reuters report indicates that globally, young people are far more likely to use podcasts than listen to speech radio. Almost 50pc of 18- to 34-year-olds have used podcasts in the last week as a source of news. And just under half of under 35s are using news-related podcasts. At the same time, 22pc of over 55s rely on podcasts on a weekly basis, while 38pc of this demographic listen to radio on a weekly basis. Reuters also found that podcasts seem to perform best among audiences accustomed to on-demand services, such as Spotify and Netflix. Loyalty to radio, levels of supply, the amount of promotion, and the amount of time users spend in their cars are also important factors. The Reuters report does point out that podcasting in the US is far more developed, in terms of audience adoption. American respondents mentioned over 500 different podcasts, ranging from political talk shows like Ben Shapiro and Rush Limbaugh to adapted public radio shows like This American Life and Freakonomics. So it's no surprise that, commercially, the US podcasting ecosystem is more developed, as indicated by the IAB/PwC research. This means opportunities abound in other markets. 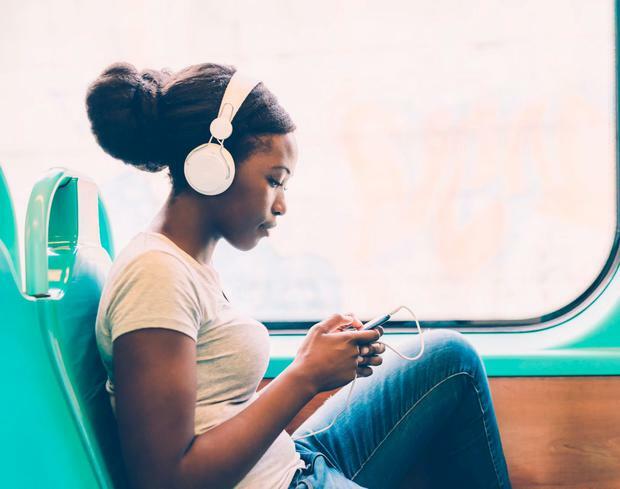 The Reuters report states that podcasts offer a significant commercial opportunity for publishers and marketers looking to attract hard-to-reach millennials. "Critically, the demographics of podcasting are explosive," it says. "The younger generation is embracing content at a time and in a format that works for them - a trend that looks unlikely to be reversed any time soon."